Let her sparkle and shine! 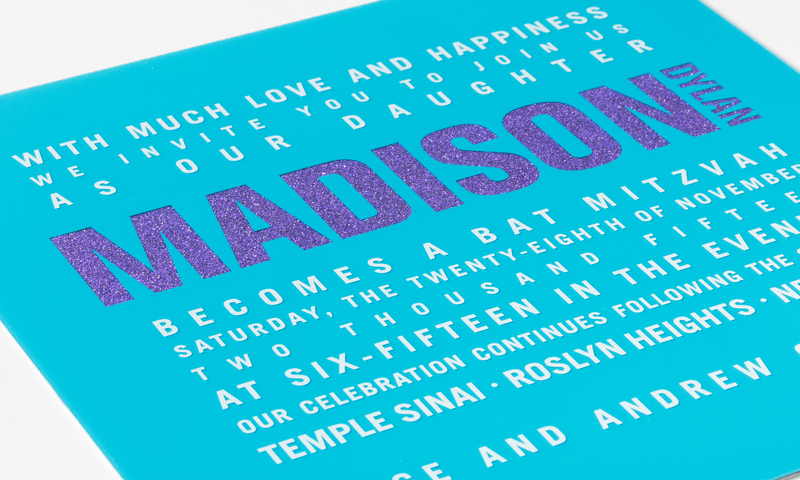 This clear flexible plastic invitation was printed with a teal and white ink, with the name emphasized in purple glitter. A coordinating envelope and address seal complete the set. 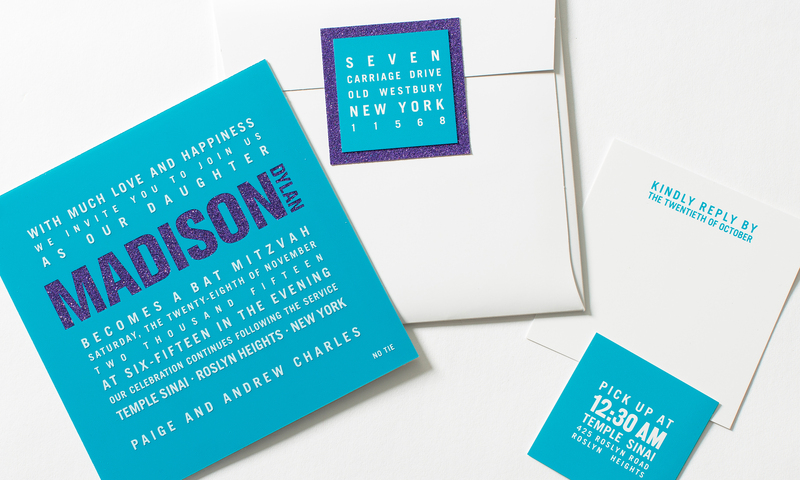 Colors, envelopes and typography can the customized to fit your style.